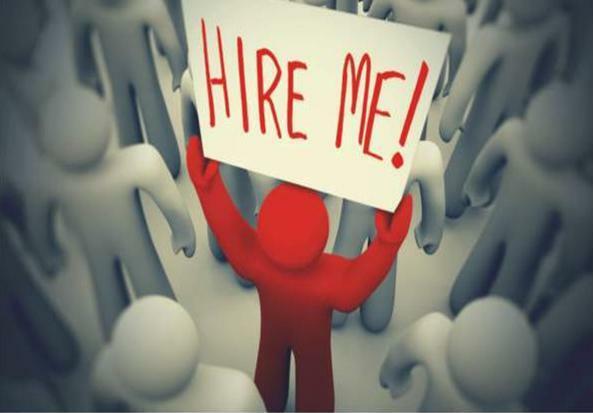 With the mushrooming of B-Schools and a large number of students passing out year after year from these B- Schools pose a big issue of employability. There exists a big gap between the quality stuff passing out and the demand put forward by the industry. Even a mediocre management student is conditioned to dream big of having a high profile and high package job. This may also be attributed to their high monetary investment in the MBA program. In the era of fierce competition some students struggle to make a career for themselves and match up the expectations of the industry due to their limited capability. It is sad that these students end up doing odd jobs like tele-calling, sales job, outsourced staff etc. for a meager salary with no job satisfaction. The irony is, they still dream to be a corporate professional or be part of MNCs. They appear to be lost in their career focus. No doubt B-Schools impart quality managerial skills like leadership, entrepreneurship, negotiation, interpersonal and in-depth coverage of business strategy, ethics & governance in addition to the domain specialization areas- finance, marketing, HR, IT & Operations with all sorts of innovative teaching pedagogies- but gaps still remains when it comes to placements. Moreover study conducted by Web portal-MBAUniverse.com and Merit-Trac showed that many employers are of the opinion that majority of MBA graduates in India are not employable. Excluding the top 25 B Schools, the remaining provided only 21% of their graduates with a job. The employability of the graduates from these schools was actually worse in 2012 (21%) than in 2007 (25%). The number of MBA seats in the country has increased from 95,000 to 3, 50,000 from 2007 to 2012. The quality of education apparently did not keep pace. Aspiring Minds- a national body conducting employability test AMCAT says almost 50% of the students are not employable in functional domains for lack of domain knowledge. Whereas 32% management graduates lose out in the job front because of lack of English language skills and Cognitive skills. Major chunk of the B-Schools generating mediocre caliber students are still struggling with the fierce competition and employability quotient of their students. These B-Schools and students have to understand the grave reality faced by them. They should look beyond the conventional business verticals like big MNCs and reputed business houses which are highly competitive for many students to cope up. Professionalizing the Small Business Owners & SMEs. Professionalizing the Non-Profit & service oriented ventures. SMES and similar subsidiaries dependent on large industries for their business may gain better lobbying & negotiation skills from the MBAs. Non-profit ventures with a professional approach may fulfill the criteria of CSR schemes propounded by many large industries. All B-School programs have a mandatory summer internship project in an industry. But additionally they should think of exposing students to other business verticals for live projects and internships. Management students should be oriented to take up projects in civic departments, NGOs, health projects, small businesses etc. in the first semester of their course. Once in a week they can be sent to the field in one of these areas and they can be guided & evaluated by the allocated faculty mentor. This can be spread-over to the entire semester. Likewise in the second semester, students can be exposed to doing a live case study on Small & Medium Enterprises. It can be pursued under a faculty mentor with the standard parameters set for conducting the study by the students. These efforts open up wider placement opportunities for students and also enhance their employability as per their capability and skills. Students are also conditioned to look beyond large business houses and MNCs. It is a very positive way of channelizing the career focus of struggling students in the right direction. Subsequently it may also give direction for some entrepreneurial ventures by students. In 1999 Bill Kincaid released its brainchild to the world. It was named as SoundJam MP. The idea was simple: to give the world better musical experience. But it was still little known to the world as it did not get the expected market penetration. Apple acquired SoundJam MP in 2000. This was the company that is known to us as iTunes today. As Steve Jobs, the founder and ex-CEO of Apple puts it, iTunes was the first introduction of its kind to the music lovers of the world where people could purchase, download and listen to music, audio podcasts, watch music videos, TV shows etc. legally. As it is a very lovable user interface to the music listeners, it also helps prevent piracy in a big way. 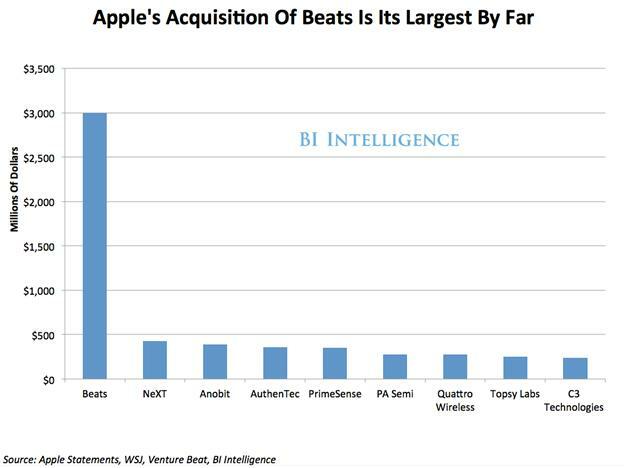 On 28th May, 2014 Apple completed its latest acquisition in the form of Beats Electronics. Apple announced that its acquisition is worth 3 billion USD. The breaking of that amount includes 2.6 billion USD cash transaction and 0.4 billion USD worth of stock transaction that is expected to close by the end of 2014. Are we expected to witness similar turn of events as with iTunes? Let’s wait and watch. In 2006, famous rapper and hip-hop producer established a electronics music company ‘Beats Electronics’. In 2008, it launched its first ever product: Dr. Dre headphones by Beats. The company channeled its efforts to manufacture more and more audio devices like speakers and earphones. Soon it got a popularity in the upper bracket of the music goers. One premium feature that Beats had was its outstanding and unparalleled bass sound. As Dr. Dre wanted to bestow the listeners with wholesome music experience through headphones. He sensed the market demand for such a product at that point of time. Later the company diversified in online music industry. A particular reason for its popularity was also its amazing marketing practices. It did strike one too many branding deals during several hit hip-hop and pop music release. Since that was one of the creamiest part of their share of pie, it made huge sense. By 2012, it had 64 percent market share in headphone market with the product price greater than 100 USD. Beats purchased licensing agreement to distribute its online music channel to mobile manufacturers. For a brief period of time (2011-12), HTC had majority stakes (50.1 percentage) in Beats. This is Apple’s largest ever acquisition in terms of price tag. Apple is pioneer in the Smartphone market with its revolutionary iPhone and App Store and reinventing a new way of computing through iPad. If they can integrate Beats online music and headphones here, that can talk a long way to the intersection of music crowd and Smartphone users. Apart from being a revenue generator, iTunes was a major way to reach to the crowd as it was available on all the platforms. Now since the music services like Spotify and Pandora have come to the market, they are eating market share of iTunes. So, Beats can be a strategic move to give iTunes a second life. The marketing strategy of Beats centers around the Pepsi-Cola war survivor genius Saint John. He worked with the giants of present music industry. The list ranges from Kanye West, Nicki Minaj, Eminem to Ketty Perry and it goes on. If Apple wants to beat the likes of Google and Facebook in terms of reach, then this can prove fruitful. It can be a great way to reach the younger crowd. There are plenty of other ways to monetize on this depending on the growth plan of Apple. As part of the negotiations, Dr. Dre, the founder and Jimmy Iovine, the co-founder will be part of Apple’s payroll. Dr. Dre is also the senior vice president of Apple now. 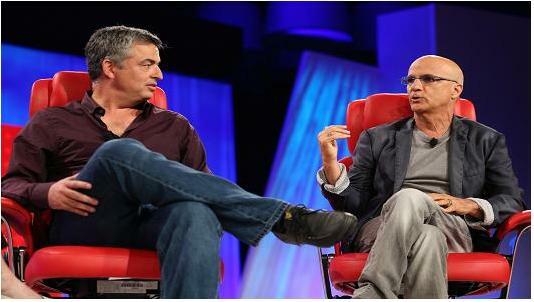 Apple must be looking for a way for Beats to fit into the organizational structure of Apple.